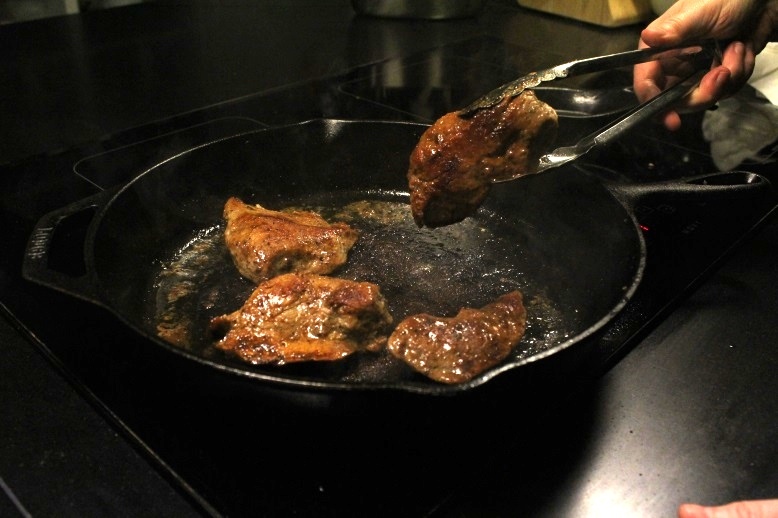 While Rice and Gravy may not be on many restaurant menus, it’s one of the most common dishes that Cajuns eat for supper. You can make rice and gravy with many types of meat, including beef, pork, and even turkey sausage. 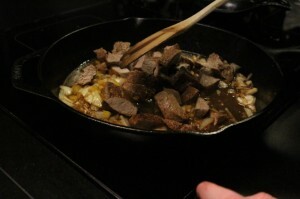 Last night, I picked up some beef and made my best rice and gravy ever. Here’s how I did it, following the instructions listed on our Rice and Gravy recipe by Ms. Linda Benoit. 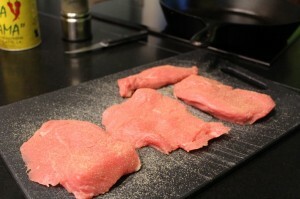 First, I gathered my meat, vegetables and spices. * Sorry about the yellow bell pepper, y’all! I bought a bell pepper pack of 3 but already used the green and red. Most Cajuns use green bell peppers (an essential part of the Cajun Trinity), but I usually use red ones because they are prettier and less bitter. 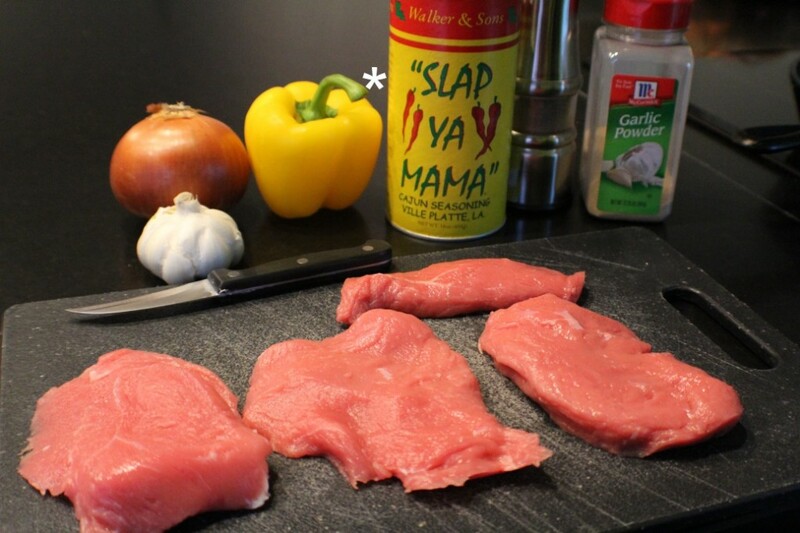 While we can’t speak for all Cajuns, most of our dishes are usually seasoned with Slap Ya Mama Cajun Seasoning, onion powder, and black pepper. People often ask how much seasonings to put, and I generally say “a medium layer of each”. 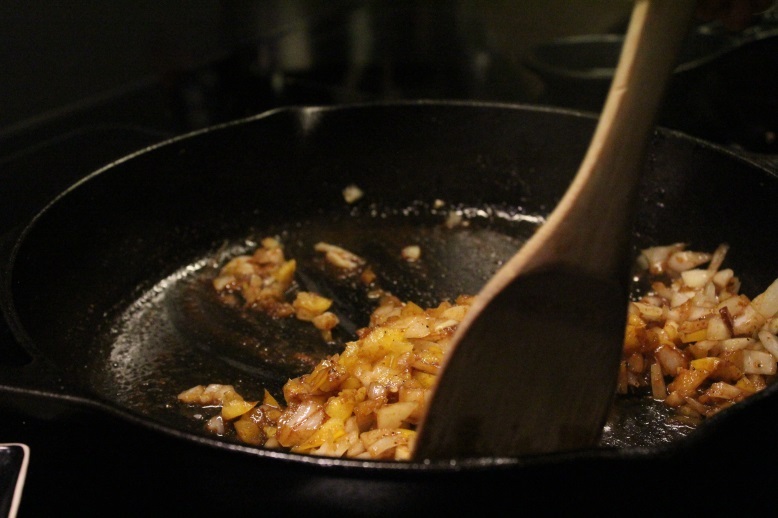 In the first photo below, you can see a layer of onion powder (click for a larger picture). The second photo shows what the meat looks like after it’s been completely seasoned. If you’re wondering about the color of the meat, this is actually world-famous Belgian beef (because I now live in Belgium, and it was on special.) 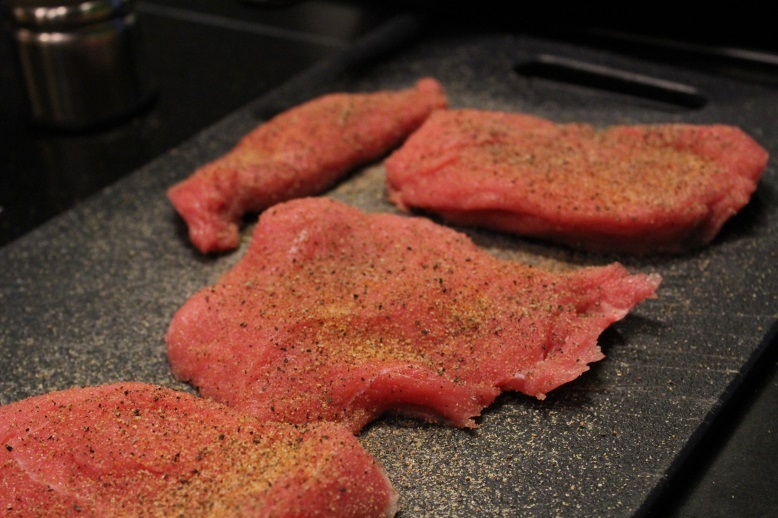 Also, the recipe calls for bite-sized pieces, but I kept the meat whole so that you could better see the seasoning process. 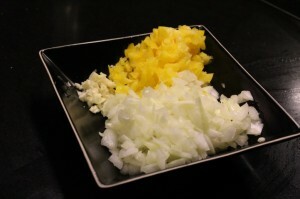 After seasoning the meat, I cut up my onions, bell pepper and garlic. 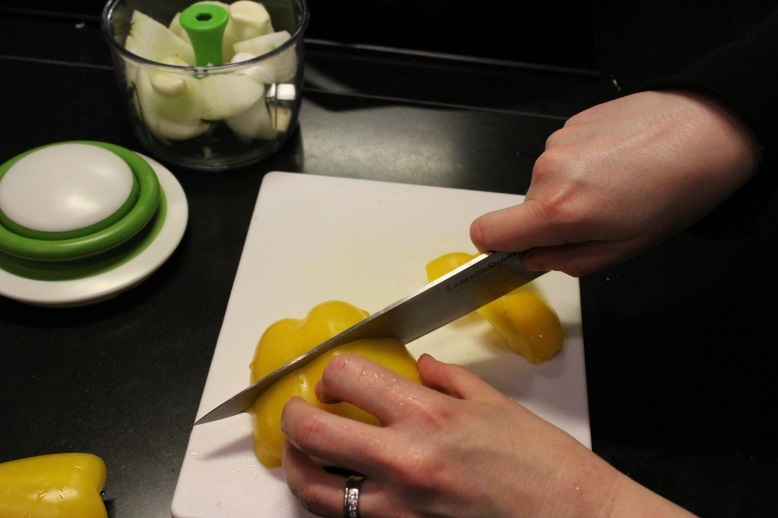 I used to cut up my vegetables entirely by hand, but now use this $20 hand powered chopper. I love that chopper so much, I got one for my mom and step-dad for Christmas. 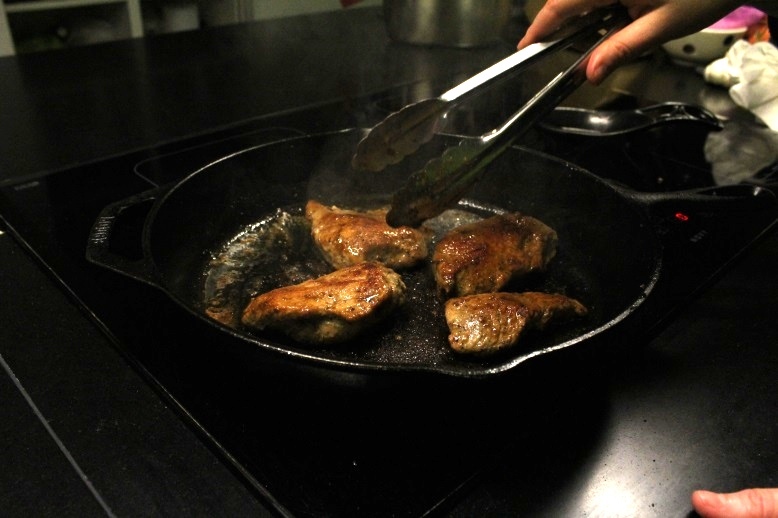 Probably the most important component of cooking rice and gravy is the type of cookware that is used. Cajuns use black cast iron pots and Magnalite pots for most of their dishes. I was distraught when I found out that my apartment’s induction stove didn’t work with my Magnalite, but my happiness was restored when my black pot worked. 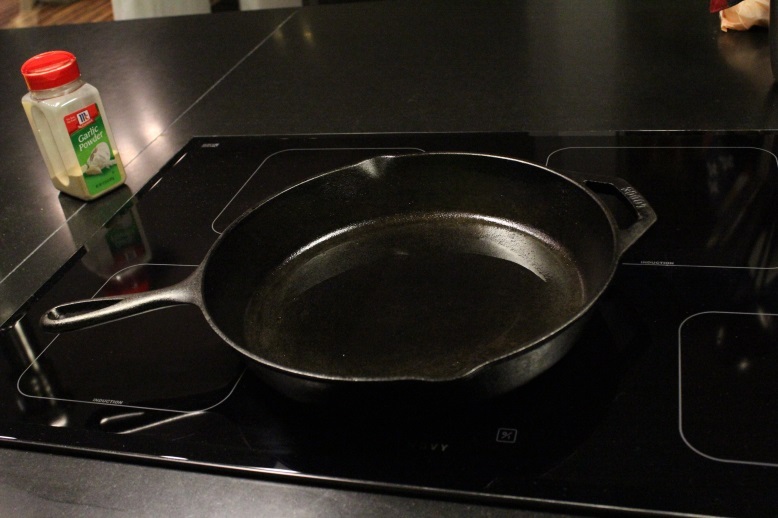 I left most of my cookware in Louisiana at my mom’s house, and was relieved when I found a fantastic pre-seasoned skillet on Amazon. It doesn’t have the sentimental value of my handed-down pot, but it works just as well! Here it is in all of its pre-seasoned glory. 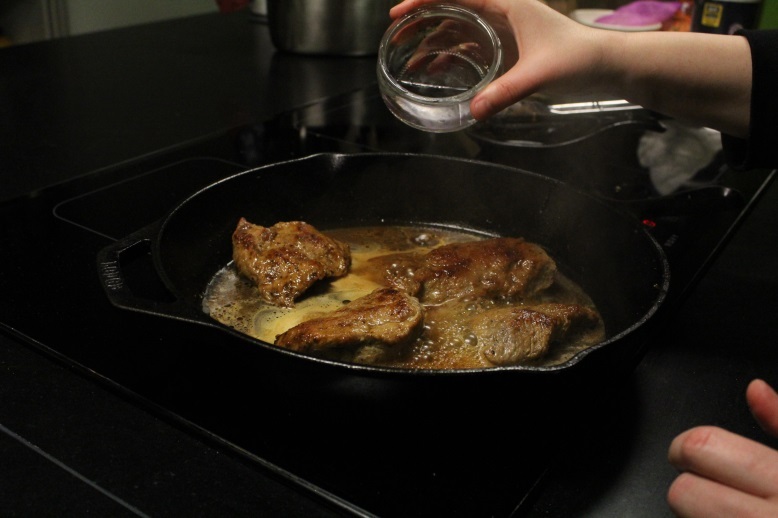 Another important part of making a great gravy is to push the browning process really far. The Rice and Gravy recipe said it best “Stir while browning the meat. Don’t be afraid to brown it; it will not burn if you keep turning it.” So that’s what I did; over a medium heat, I turned and I turned and I turned. 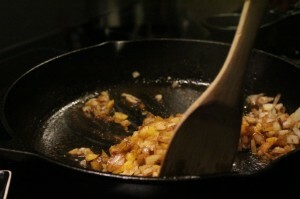 When the skillet started to get a little too dry and hot, I’d add some water, then I’d turn some more. Next, I removed the meat so I could cut it, then I added the onion and bell pepper. Once my meat was chopped, I added it back, along with some water, and cooked it down for awhile. I probably added small amounts of water about 10 times throughout the entire process. 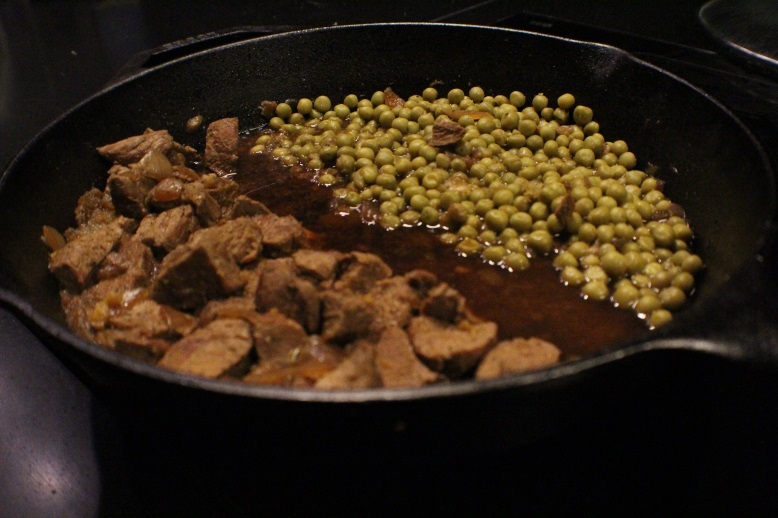 I then simmered the dish for another 45 minutes, and at the end, I added some peas to the gravy. Cajuns often eat sweet peas or corn with rice and gravy, though it’s usually added after their rice and gravy has been prepared. 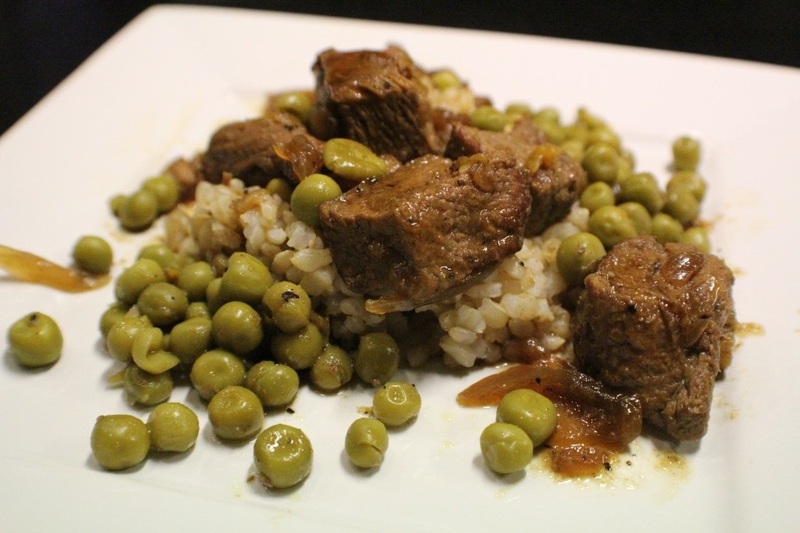 For me, I like adding peas to the gravy so that it soaks up some of the flavor. Baww, look at that wonderfully dark gravy. And, voila! Here’s a fancy view of the prepared rice and gravy. Talk about good!